A friend of mine reminded me of the benefits of coconut oil when it comes to dealing with acid reflux. I had forgotten how much I enjoyed mixing it in my hot tea, which is one way to get it in your diet. However, I am on a recovery mission so I am taking it straight from the teaspoon three times a day. When the esophageal sphincter fails to contract, it allows gastric acids to move from the stomach upward. This causes a burning sensation in the lower chest and throat known as acid reflux. Certain research reveals that acid reflux may be caused by bacteria that grows in the stomach. According to surveys, nearly half of all Americans experience the chest pain, bloating, and burping associated with acid reflux, or heartburn, at some point in their lives. Various symptoms of acid reflux include gas, chest pain or heart burn, burping, bloating, bitter taste, experiencing uneasiness in lying down or bending. There are plenty of commercial heartburn medicines available, but their effects are short-lived and they often cause unwanted side effects. Why bother wasting time and money on those when you can treat and prevent acid reflux with coconut oil? Coconut oil coats the throat and digestive tract, reducing burning sensations and other irritation caused by acid reflux. 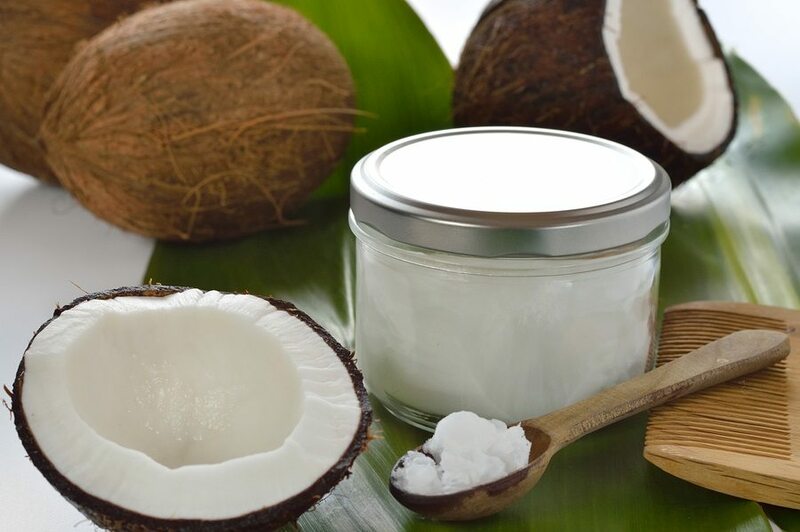 The lauric acid in coconut oil is a natural antiseptic that kills the fungus and bacteria that cause acid reflux. Overeating causes acid reflux because our stomachs struggle to break down large amounts of quickly consumed food. When taken before meals, coconut oil prevents overeating by making you feel full. This also helps you lose weight. The medium chain triglycerides (MTCs) in coconut oil are easily digestible and they offer numerous health benefits. Because it is alkaline, coconut oil neutralizes acid, reduces inflammation, and helps repair tissue damage caused by heartburn. Coconut oil triggers the production of chloride, which is essential for the production of stomach acid which helps for proper digestion. This is the brand that I’m using. I’ll admit that at first taking it straight from the teaspoon is a little strange feeling. Starting out with a smaller amount or mixing it in a hot beverage will work just fine too. If you suffer from acid reflux, try some coconut oil, it has helped me and it probably will help you too. Posted on September 28, 2016 by LoriPosted in Health and Fitness, Homestead Life, Medicinal Supplements, Quitting Prilosec (Omeprazole)Tagged Health and Fitness, Medicinal Supplements, Quitting Prilosec (Omeprazole).